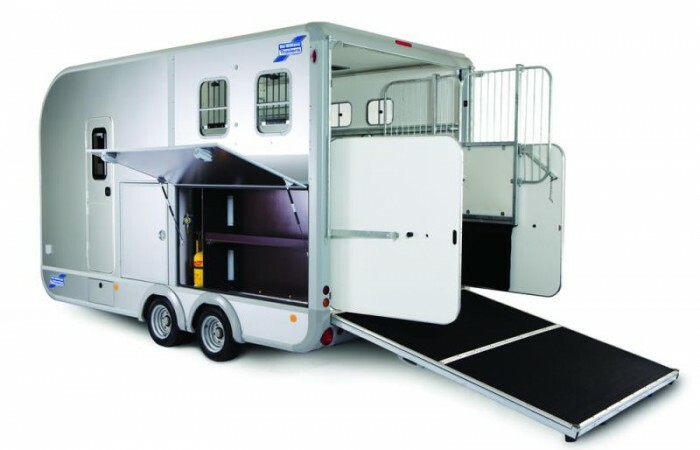 For the first time ever your Ifor Williams Horsebox can be a home from home for you as well as your horse. The new Eventa range of horseboxes now includes fitted living accommodation options. We have built on our 50 years of experience producing the UK’s best trailers to produce this exciting new range. The Perfect Trailer For You: The living area in the Eventa range has been designed to offer the best possible levels of comfort and functionality. There are three levels of finish: Bronze, Silver and Gold. With Bronze comes seating for three, sleeping accommodation for two, a sink and plenty of storage space. The Silver finish adds a gas cooking hob. The Gold finish adds on-board 12v electrics, 50 litre water tank and a 12v electric water pump. The 12v electrics means you can add a host of additional options including electric fridge, hot water, TV and electrical flush toilet; it really is a home from home. As a further option the trailer can be supplied with no fit-out to the living area allowing you to customise this area yourself. The Eventa comes in two sizes. 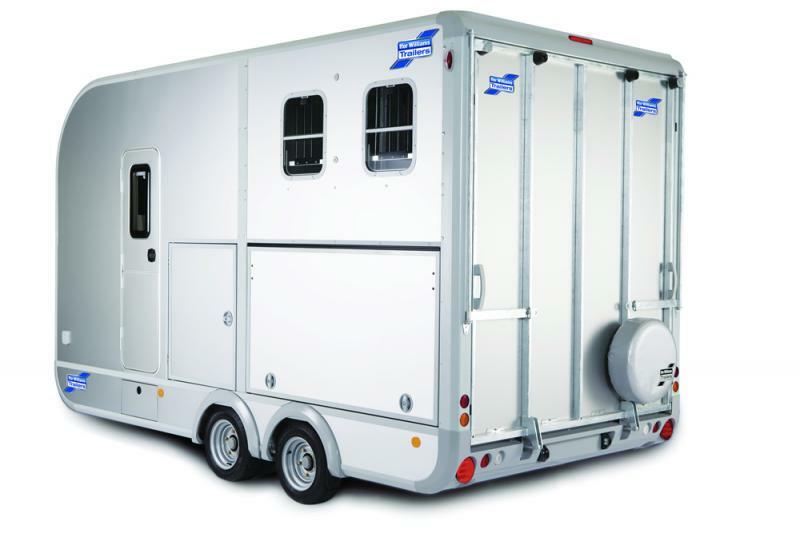 The Eventa M is suitable for 2 horses whilst the Eventa L is suitable for 2/3 horses/ponies dependant on weight. 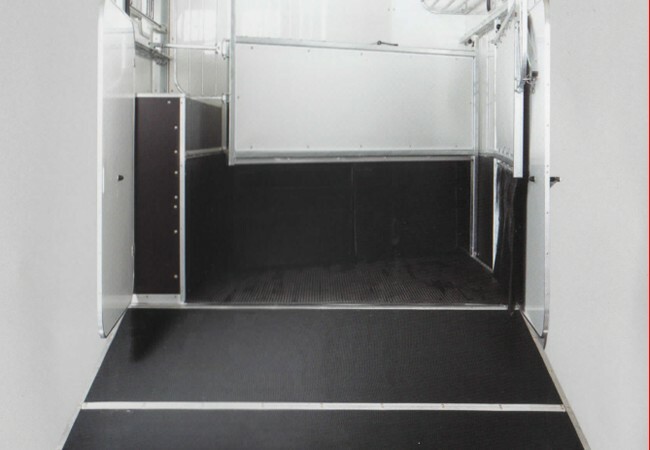 Moving away from traditional trailers the partitions for the horses are at a herringbone angle – widely used on horsebox lorries. The living area within the Eventa comes in four different finish levels, Base, Bronze, Silver and Gold. Base trim is the most basic of the four models on offer with the living area completely empty; with vinyl flooring and front window as some of the factory fit options. Bronze is fitted out with full furniture, with seating for 3 and sleeping for 2, table and cupboards. Also included is extra storage instead of cooking facilities, use of a manual pump water tap with internal light powered from the car and amongst other options, a front window is available. Silver, Bronze trim plus a gas powered 3 burner cooking hob with gas compartment. Gold includes electric pumped water, gas and electricity with optional electric fridge, hob and grill, internal lights and 50 litre water tank, TV, hot water, heater, electrical flush toilet and outside tap (wiring for which is only present with Gold). 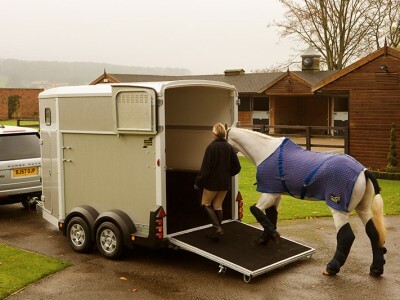 The Perfect Trailer for Your Horse: We produce more horsebox trailers than anyone else in the UK. To see for yourself how popular our trailers are, just look around the car park at your next event. 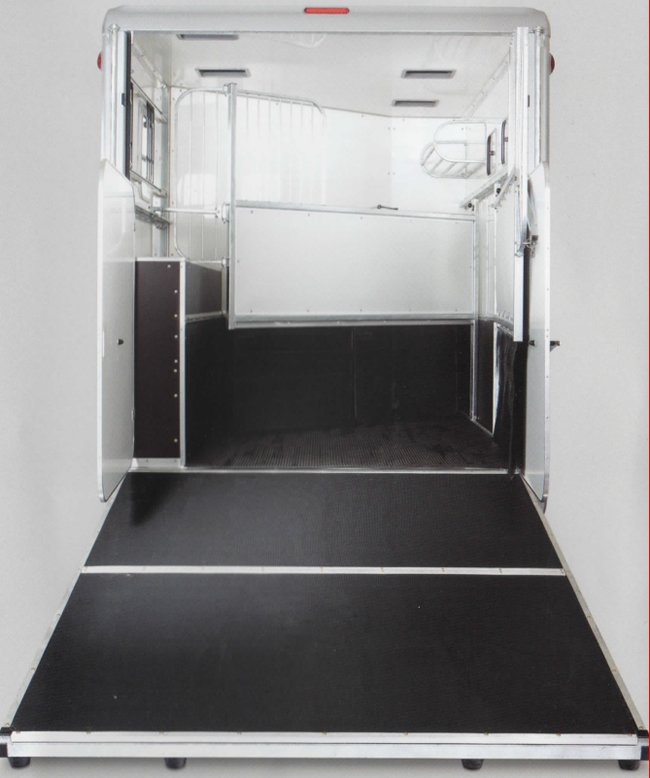 The horse compartment in the Eventa range has been carefully designed to ensure your horse travels safely and comfortably. Combining the much loved qualities of the Ifor Williams range, with continuous design improvements, ensures that you are towing a safe and strong horsebox trailer. 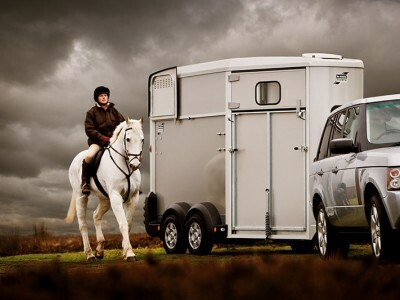 Combining Strength, Stability and Style: As vehicle design has evolved over the years, so have our horsebox trailers. The Eventa range has smooth curvatures and stiff foam insulated side and roof panels which give good thermal insulation. 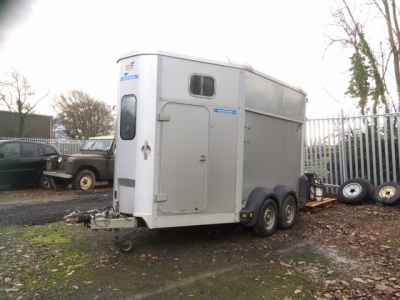 The trailer is constructed with aluminium extrusions and has an aluminium clamping profile which provides structural integrity. The Ifor Williams leaf spring suspension provides better shock absorption than rubber torsion suspension. 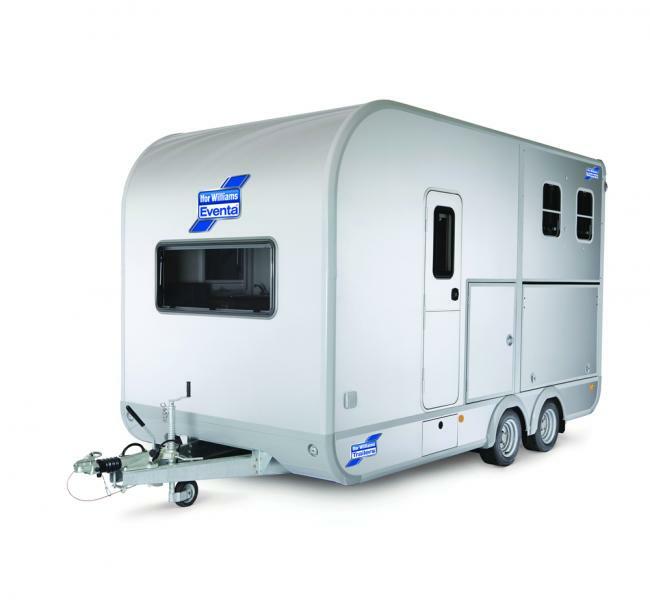 It has been tried, tested and proven reliable – peace of mind when your horse is travelling. Specification this depends on trailer model and accessories ordered. Please see Eventa brochure for further information. Suitable for two 18″ saddles on two saddle rack poles. It is advisable for saddles to be fitted with covers to prevent damage. Optional on all models – a wireless waterproof, day and night camera system which transmits live colour footage from the trailer interior to the towing vehicle, enabling passengers to monitor horses during transit. Can be powered from the battery pack or trailer lighting system. Supplied loose and requires fitting. 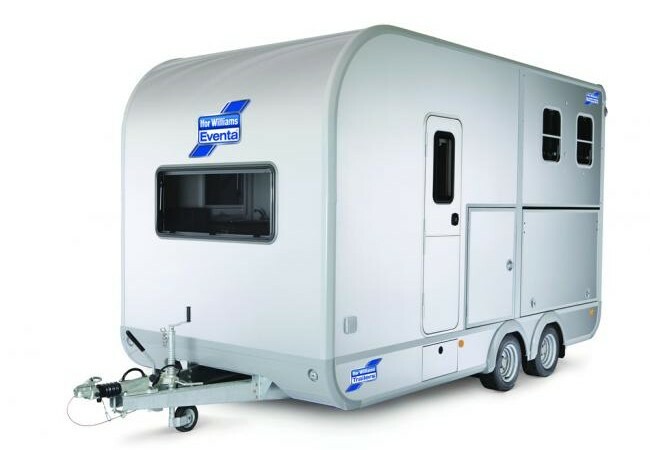 The standard colour for the trailer is silver. Other colours are available at an extra cost. Protect your trailer from the elements with a waterproof and breathable trailer cover. This can be attached for ease of moving the trailer if no one is around to help you – simply and easily. Panel mounted 2.5m extension, 3.5m long. Top quality PVC fabric used for the awnings is pressed down along both sides and has a coating. This coating keeps the fabric colour fast, watertight, washable and durable. Attached as requested by the customer. Room for 4/5 is available. A vinyl graphic transfer of your choice on the panels of your trailer. Consider prop stands if your horse requires a particularly steady surface to load. Additional support will reassure nervous horses. Use it once and you will never be without it. Used when replacing a flat or punctured tyre. Saves time and energy as there is no need to use a jack. Recommended for use when uncoupling, parking and in place of the handbrake when storing your horsebox for a length of time. An optional curved galvanised steel rug rack positioned closest to the living for the storage of rugs, boots and other equipment. Available in a range of colours. Will hook over a gate or door but also designed for feeding your horse whilst standing in the trailer. Hooks into retainer rail.